Have A Project You Would Like A Quote On? JW Color can give you an estimate on your job via the form below, or during a consultation with one of our estimators. Fill out the form or call us today at: +1.330.834.3570. We can produce just about anything, and if we can’t, we can refer you to someone who can. Please fill out the form below and one of our graphics professionals will be in contact with you. 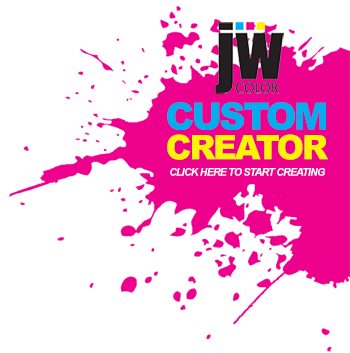 JW Color has been servicing the graphics community since 1977. We utilize only the finest equipment from industry leaders that include swissQprint, Esko, HP, Epson and Miller Weldmaster. Trust your next graphic project to one of the oldest and most experienced companies in the digital print marketplace.